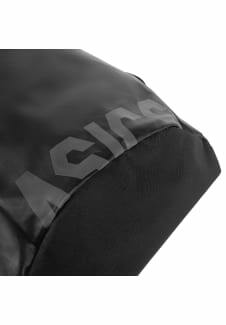 This Stylish and practical gymsack from ASICS is great for all your training needs. 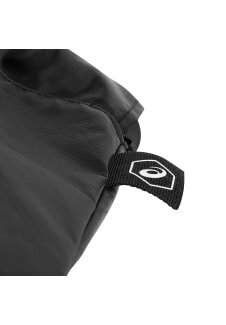 Throw all of your training gear into this loose material style bag that can also double as a backpack. 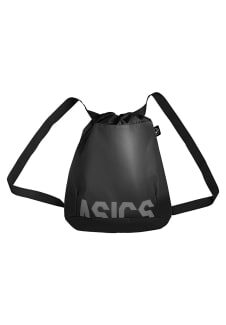 Simple and fuss free bag with two carry straps and main compartment to get your training gear to and from the gym. 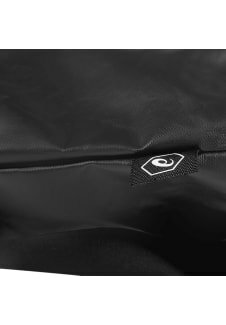 Made with lightweight and durable material designed to stand up to the roughest treatment, this bag can be used every day or for specific training needs. The quick draw string close means you'll be packed on the move in no time. Featuring the bold ASICS graphic logo design, this bag is both practical and slick. Keep all your training gear in one bag ready to pick up and go.